Roger is very informative. He knows his pianos. He gave me the best at what I could afford. A pleasure to do business with. 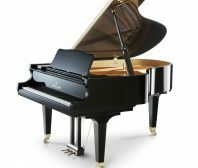 I am absolutely satisfied with the quality of the piano and the price I paid. The quality of info was great. After stopping at Roger’s a few times, I told my husband “This guy knows his pianos. I want to get our piano here!” Thank you, Roger.